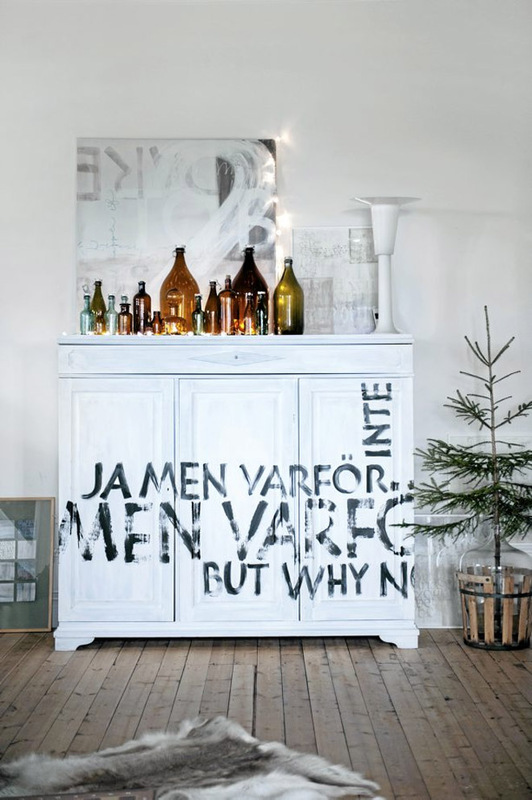 A little peek today in the home of Swedish designer and calligrapher Ylva Skarp. If you browse the blogs or Pinterest often you've most likely come across Ylva's beautiful calligraphy prints (think curiousity and creativity). 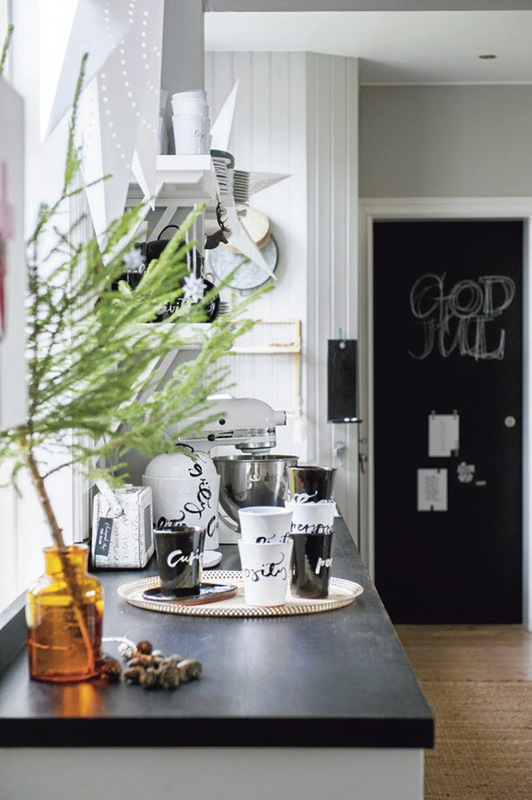 Ylva opened the doors of her home for Lantliv magazine recently featuring her turn of the century schoolhouse turned home decorated for the holiday season. 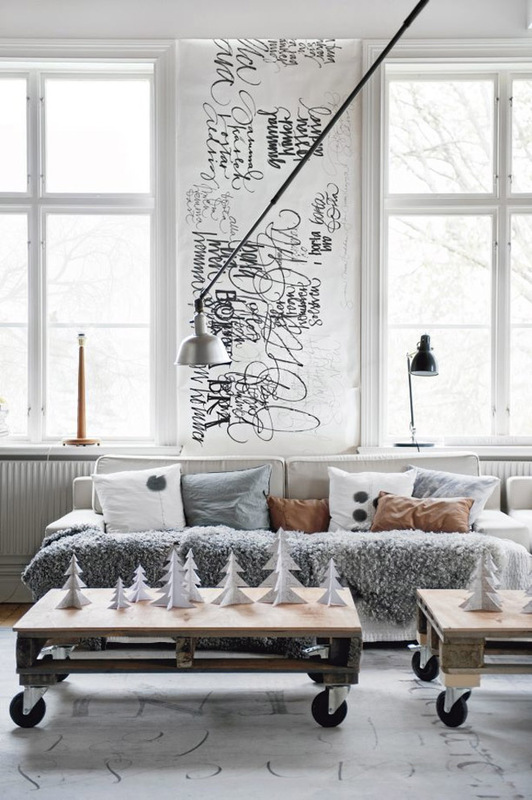 The result is a cosy, calligraphic-inspired space in whites, blacks and greys. 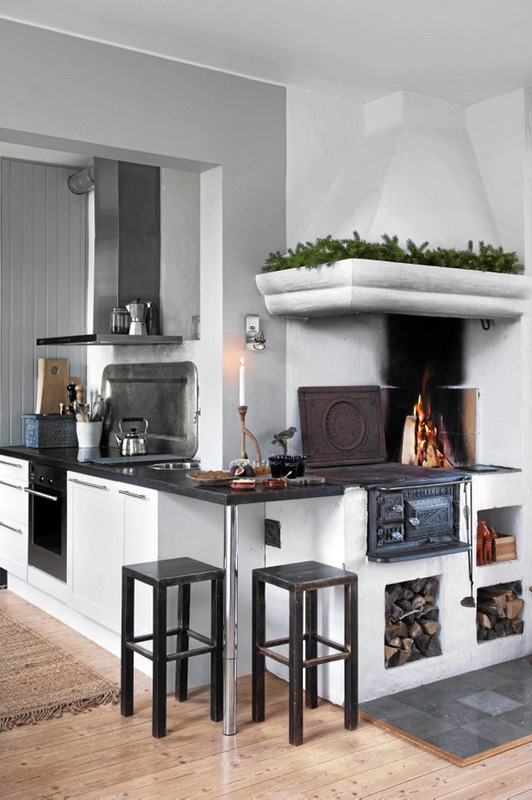 I'm especially loving her kitchen (the rustic woodburning oven and the greenery strewn about). Also note her ceramics, wall art and holiday decorations all available in her webshop. This whole place is amazing! The mix with rustic and modern is breathtaking! So so gorgeous! that's exactly my kind of home decor for the holidays, I love it! Absolutely beautiful...I love the natural color scheme of each of these rooms! Beautiful work and a beautiful home! My handwriting is truly horrific and I so admire calligraphers. 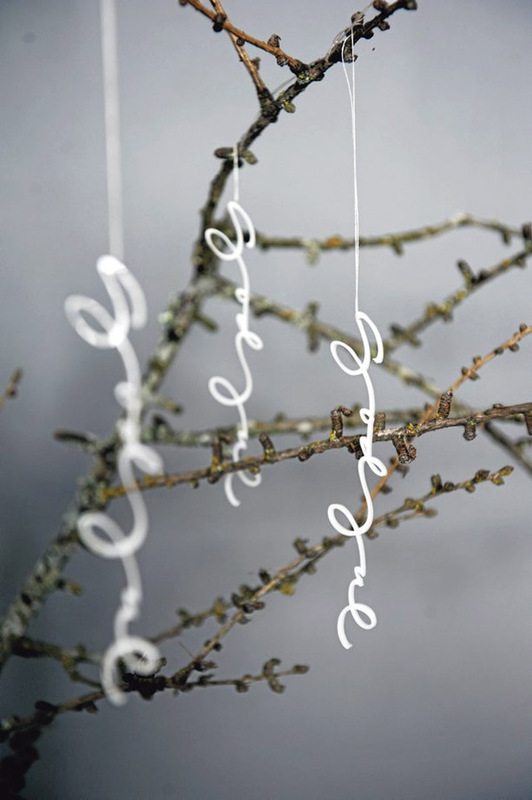 I am in love with the calligraphy plexiglass ornaments. I always love scandinavian homes all clean white everything...but the more I attain this in my own home the more I am realizing that the bare look does NOT work well with a child. (: Someday.